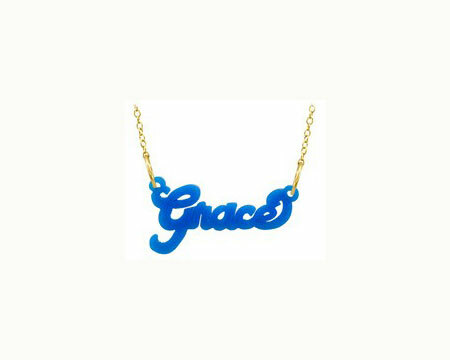 Brighten up your day with these Colored Acrylic Nameplate Necklaces! 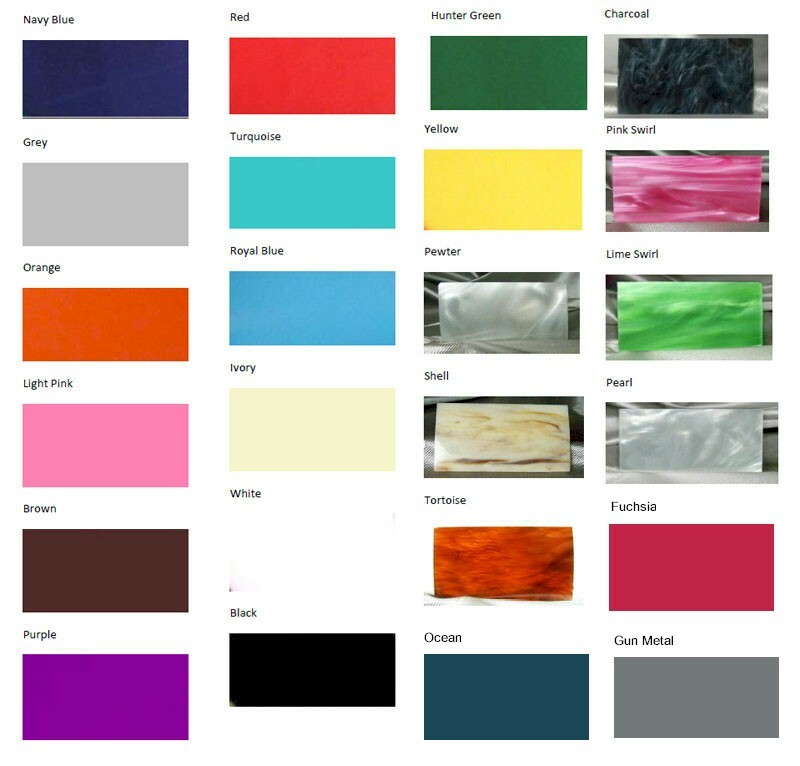 The pendant is made out of your choice of acrylic color. Pendant comes with your choice of a 16� or 18� sterling silver or gold vermeil chain. Each piece is hand cut using an elegant script style - no two are alike! This necklace is just what a girl needs to add a bit of color to any outfit or to coordinate with school colors & sororities. - Chains: Available in two sizes - 16" or 18"